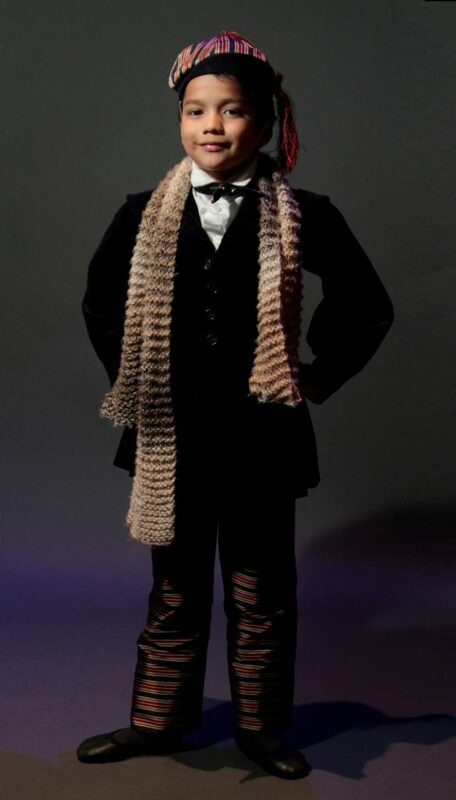 Ivan Gonzalez is dressed as his character for the 2016 production of “The Nutcracker” at the Wortham Center, performed by the Houston Ballet. Editor’s Note: February 27 through March 3 is Texas Public Schools Week, and we are celebrating by sharing personal stories throughout HISD on how public education is helping students succeed. Tweet at us @HoustonISD and share how public education is positive force in you or your student’s life, using the hashtag #PowerofPublic. Ivan Gonzalez was about to perform in Houston Ballet’s 2016 production of “The Nutcracker” at the Wortham Center, and his father was there to calm his nerves. The “Nutcracker” was not Ivan’s first stage production. In May 2015, the Wainwright Elementary student was selected to participate in Houston Ballet’s “Chance to Dance” program, a series of free ballet classes for first- and second-graders at schools that don’t have a dance program and where 75% or more of the students are economically disadvantaged. This entry was posted in Achievement/Recognition, Fine arts, News and tagged Arts Access Initiative, Nutcracker, Power of Public, Wainwright ES on February 28, 2017 by HISD Communications. On Thursday, the HISD Board of Education will vote on a plan to adjust attendance boundaries at 10 elementary schools for the 2016-2017 school year to address classroom overcrowding. The proposal affects these elementary campuses: Bastian, Hartsfield, Highland Heights, Kelso, Smith, Stevens, Wainwright, Young, Frost, and Law. Community meetings regarding the proposals took place in October. Complete details, including maps and frequently asked questions, can be found here. This entry was posted in District I - Elizabeth Santos, District II - Rhonda Skillern Jones, District IV - Jolanda Jones, District IX - Wanda Adams, Elementary Schools and tagged Bastian ES, Frost ES, Hartsfield ES, Highland Heights ES, Kelso ES, Law ES, Smith ES, Stevens ES, Wainwright ES, Young ES on October 21, 2015 by HISD Communications. As members of the Thin Blue Line Foundation & Law Enforcement Motorcycle Club roared up to Stevens Elementary, students poured out of the school to welcome them. Last week, the club visited four HISD elementary schools to present 400 bicycles, helmets, and locks to fifth-graders at C. Martinez, Sherman, Stevens, and Wainwright elementary schools. The bikes are awarded to students who have excelled in academics, personal conduct, and attendance. This entry was posted in Achievement/Recognition, District I - Elizabeth Santos, District II - Rhonda Skillern Jones, Elementary Schools and tagged Bikes for Excellence, C. Martinez ES, Sherman ES, Stevens ES, Thin Blue Line Foundation & Law Enforcement Motorcycle Club, Wainwright ES on May 18, 2015 by HISD Communications. The Houston Ballet awarded ballet scholarships to six of the 25 Wainwright ES first- and second-graders who were selected to participate in the organization’s “Chance to Dance” program. The ballet provided six weeks of classes, as well as transportation to their Center for Dance in downtown Houston. This entry was posted in Achievement/Recognition, District II - Rhonda Skillern Jones, Elementary Schools, Fine arts and tagged Houston Ballet, Wainwright ES on May 14, 2015 by HISD Communications. HISD is expanding its successful dual language program to 21 more campuses in 2015–2016, launching thousands of additional pre-kindergarten and kindergarten students on the road to learning a second language. Currently, 31 HISD schools offer a Spanish dual language program. Starting in August, kindergarten students — and pre-kindergarten students, at some schools — will be learning in both English and Spanish. One grade will be added to the program each year until it reaches school-wide. This entry was posted in Bilingual, Global Education and tagged Browning ES, Burrus ES, C. Martinez ES, Cage ES, Condit ES, Davila ES, De Zavala ES, dual language, Durham ES, Elrod ES, Franklin ES, Highland Heights ES, Hobby ES, J. R. Harris ES, Laurenzo Early Childhood Center, Love ES, Mading ES, Patterson ES, Robinson ES, Roosevelt ES, Scarborough ES, Wainwright ES on January 22, 2015 by HISD Communications. In this edition of I Am HISD, which features district students, graduates, employees, and other members of Team HISD, we talk to Wainwright ES teacher Jennifer Hannah about what got her into the field of education, how the Effective Teacher Fellowship helped prepare her for the classroom, and why she inspires her fourth-graders to engage in “productive struggle” when writing. You’ve already accomplished a great deal academically and professionally. 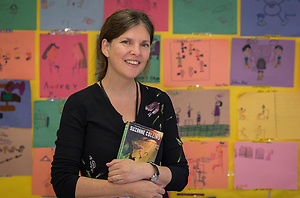 You’ve earned a master’s degree in creative writing, freelanced as a writer and researcher for McDougal Littell, taught as an adjunct professor at the University of Houston, and even written a number of children’s books. What inspired you to go into the classroom? A couple of things. For three years, I taught freshman composition and rhetoric at UH. I really was surprised at how much I liked talking and thinking and learning about writing. Teaching was a way for me to think about writing in a way that I hadn’t before, and I loved that. Then, when my children started going to preschool, I visited a lot of classrooms to find the best schools for them, and I noticed that once I picked their schools and was involved in volunteering, I never wanted to leave. I liked seeing how busy and occupied children could be when they were learning. This entry was posted in District I - Elizabeth Santos, Elementary Schools, I Am HISD and tagged Wainwright ES on November 7, 2014 by HISD Communications.